In Ms. Davison’s role as the Director of Operations she serves as a vital contributor to the firm’s executive leadership team. 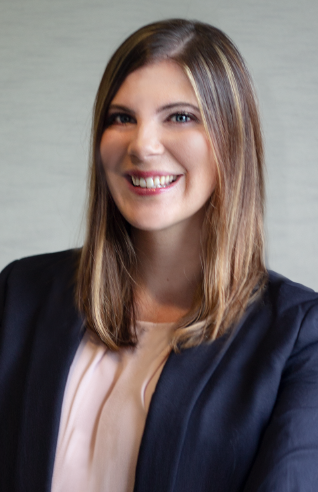 Ms. Davison’s expertise and insight help the firm identify innovations and efficiencies which allow the firm to stay true to its mission focus on the client value proposition. Ms. Davison is a relentless champion and driver of key performance indicators. As a leader she serves as an example for customer service, modeling processes, teaching, developing, and motivating the team to success. Her endless creativity, fostered through collaboration with key firm stakeholders, has created a culture which produces exciting initiatives that set the stage for the firm to achieve operational excellence and an industry leader in providing the highest client-value ratio attainable. Ms. Davison, prior to joining The Federal Practice Group, served eight years in the United States Marine Corps attaining the rank of Staff Sergeant. Her duties in the Marine Corps included working as a senior paralegal, scopist, and as the Western Region Defense Counsel Chief. In her capacity as a paralegal, Ms. Davison was entrusted to serve of some of the most consequential war crimes cases prosecuted in Marine Corps history being given access to extremely sensitive material as well as requiring travel to combat zones to conduct site surveys and witness interviews. Ms. Davison’s commitment to service continues through her volunteering with the Junior League of Northern Virginia and VEToga (a nonprofit that provides yoga, meditation, and healing arts to active duty servicemembers, veterans, and their families). Ms. Davison is a graduate of Georgetown University.